I often reminisce with my stepmom friends about the first year or so of stepmomming. We laugh about how naïve we were, and we cringe at some of those amateur mistakes. We sip wine and savor the fact that we’re older and wiser now (ha!). We certainly haven’t mastered stepmotherhood, but we have learned from our mistakes. Here’s to hoping you can sidestep some of those stepmom no-no’s before you sabotage your stepmom potential. 1. You compare yourself to the ex. You wonder if you keep the house as clean as she did or if you cook as nutritious or tasty of meals as she did. You compare the way your stepdaughter acts toward you with the way she acts with her mom. Stop it; cut that out. Comparison is the killer of joy, and you’re allowing your husband’s prior relationship to kill your joy. Becoming a stepmom doesn’t automatically make you superwoman. You’ve taken on the additional roles of wife and stepmom; you don’t also need to take on all of the house responsibilities. You don’t have anything to prove, remember that. 3. You don’t establish boundaries. If you insist that you can be all things to all people and you don’t set boundaries for your peace of mind, you’re sure to sabotage your happiness potential as a stepmom. You need to set boundaries with your husband, your in-laws, and if possible, the ex (probably best communicated through your husband). Without them, you’ll go crazy. 4. You try to control the situation. I say this with love, so hear me out. Stay in your lane. The very biggest mistake I made in my stepmomming journey is thinking that my husband was a pushover and needed me to help him with his ex-wife. Spoiler Alert: He didn’t. 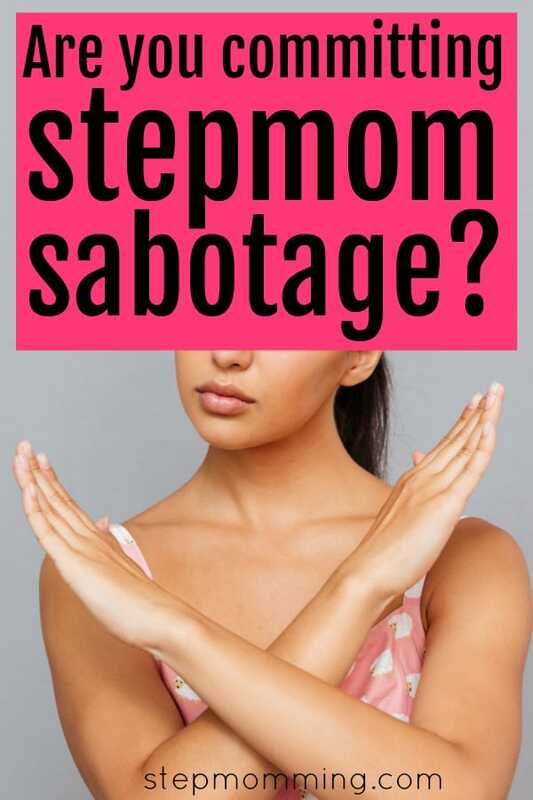 As a stepmom, you are not going to be able to control the situation, and if you try, you will sabotage your stepmomming potential. 5. You think you have to love the children like your own. Are you noticing a pattern here? A stepmom tries to make sense of her new situation the best way she can, by fulfilling the expectations she thinks are in place for her. It is not necessary for you to love your stepchildren as if they were your own. Of course it’s okay if that relationship naturally develops, but you do not need to put that kind of pressure on yourself as a new stepmom. Your family can still thrive if you don’t love your stepchildren like your own; it cannot thrive if you’re distracted with concerns of unmet expectations. 6. You don’t put your relationship first. It’s entirely possible to focus so much on the children you don’t put your relationship first. But without a healthy stepcouple, a stepfamily can never flourish. One of the very best gifts you can give your stepchildren is a healthy example of a relationship. 7. You don’t practice self-care. It is not only perfectly acceptable to take a break every now and then to take care of yourself – it is encouraged! It’s so critical that we take care of ourselves, or else we can’t take care of everyone else! I repeat: there’s no shame in me time. 8. You fight his battles. Let your hubby take care of his own fights. As much as you want to protect him – and no matter how much you think he needs to stand up to her and stop being such a pushover – this is NOT your battle to fight. You will only be committing stepmom self sabotage if you start fighting his battles for him, I can guarantee that. 9. You discipline his child. I’m not suggesting you don’t enforce rules, but I am telling you that disciplining his child (especially when your definitions of discipline differ) has the potential to sabotage your stepmom potential. Before you discipline in your home, make sure you have extensive talks with your partner and are on the same page. Also worth noting: corporal punishment by anyone other than a biological parent isn’t allowed according to many child support/custody agreements, so make sure to check yours before spanking! 10. You act as the go-between on arguments between him and his child. I’m providing this one to you from my time as a stepchild. My stepdad would come home from work and find my mom and me in the midst of an argument. Who did he side with? My mom of course. Did he know what had happened? No. Did he hear my side? No. It greatly affected my relationship with my stepfather, so I’m advising you as a stepparent to let the biological parent and child work it out. You don’t need to be their go-between. 11. You obsess over the ex. Do you look at her Facebook? Count the minutes she’s late to drop-off? Do you list her transgressions and judge her every mistake? If you’re thinking about her more than just when you’ll pick-up/drop-off next, then you might be sabotaging your stepmom potential. 12. You read into things and over-analyze. You guys, I’m the worst about this. I’m a chronic overthinker anyway, so it makes sense it would carry over into my stepmomming. Just the other day, we were at lunch as a full extended family (mom, stepdad, dad, stepmom, and half sister) and it was technically Mom’s time. So when my husband told my stepdaughter what to do (or what not to do in this case), I was totally thrown off. It’s their time, and we should let them parent how they want to. My husband doesn’t think about things so much. He saw his daughter misbehaving and didn’t care whose schedule we were on. Be like him. 13. You focus on the past. If you spend too much time thinking about “that one time” or “what happened last time,” you’re setting yourself up for stepmom sabotage. You have to focus forward in order to maintain a cooperative shared parenting relationship. You can’t reflect on the time BM was an hour late to drop-off or the time she sent your stepchild to school with two different shoes on (or even any of those way worse incidents). You have to keep looking forward if you’ll ever be a successful or happy stepmom. 14. You have an idea of a perfect parent. Let’s discuss the elephant in the room: you are not perfect. Your child’s mom is not perfect. Your husband is not perfect. That perfect mom you see on Instagram? She’s not perfect either. There is no such thing as a perfect parent, so hop off your high horse before you ruin your stepmomming relationship with the mom or your husband. We all have different parenting priorities, and that’s okay. 15. You don’t practice introspection. This one’s tough. Is it possible you’re contributing to the problem? Is there a chance you’re a high-conflict stepmom? Make sure you’re constantly looking inward and evaluating how you’re doing, how you’re acting, and how your actions could contribute to the conflict. It’s not mom’s responsibility to maintain peace; we have the very same responsibility. We all want the same thing – happiness forever – right? 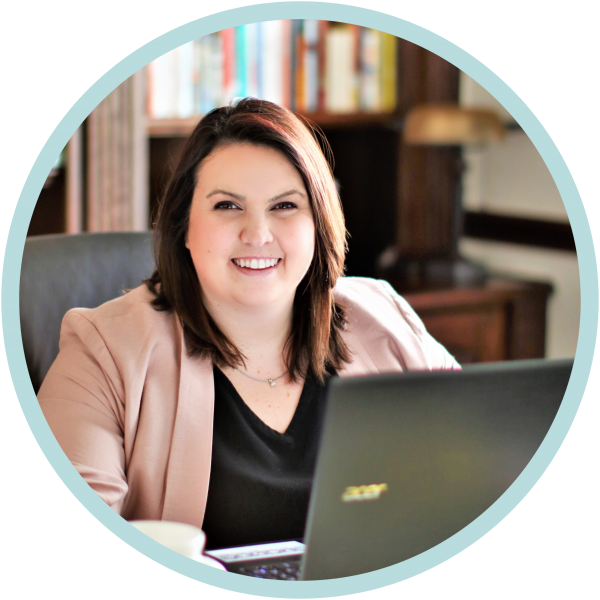 We want to learn how to navigate stepmotherhood and live a life with as little stress or conflict as possible. Start with these 15 steps and you’ll be on the right path. PS: Love this list? Have you checked out the 5 habits of healthy and successful stepmoms?